Isn't this picture just absolutely captivating? 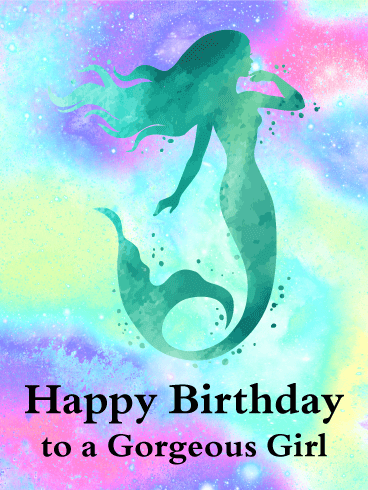 The blue tint adds a unique artistic element, while the mermaid is a fun addition and the font screams that it's time for celebration. 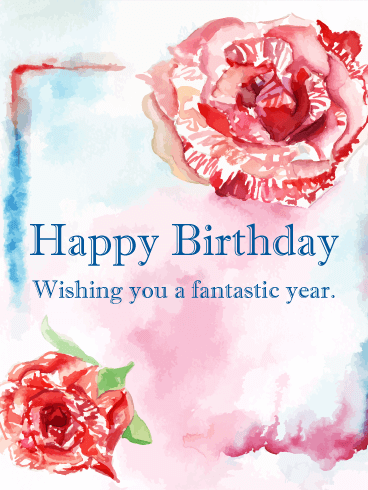 This birthday card is the perfect way to wish someone special in your life a wonderful year ahead. 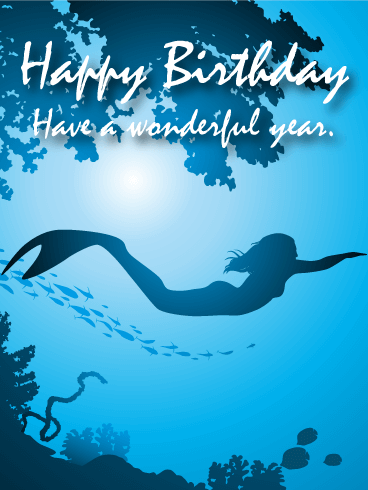 For ocean lovers, beach fans, and mermaid-obsessed friends, this birthday card can't be beat! 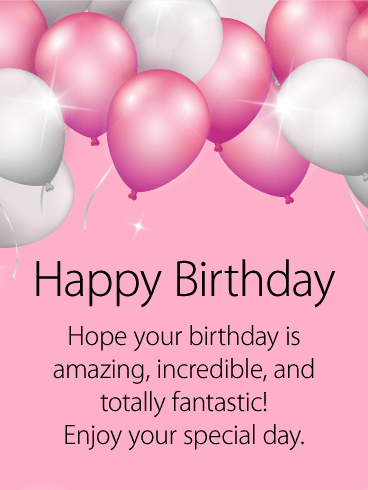 Happy Birthday - Have a wonderful year. We dare you to look at this funny birthday card without a grin on your face! It's just not possible! 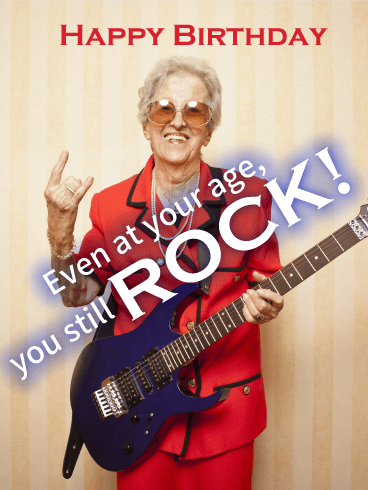 The picture is simply hilarious, with the older woman holding an electric guitar, and the pun about rock music is just the icing on the cake. Regardless of whether the recipient is turning 15 or 85, they're sure to love this funny birthday card. How sweet is this baby in sunglasses?! 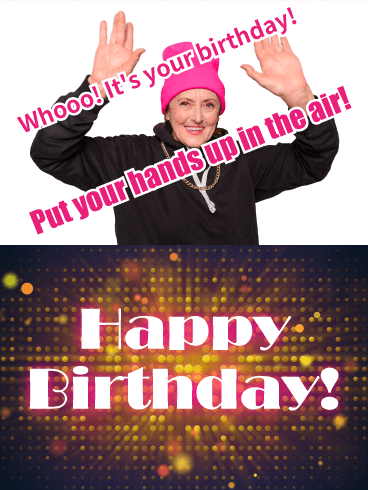 Take the recipient back to their younger years with this funny birthday card and make them smile when they read that you think they're fabulous. This is a great pick that can be given to anyone and tailored to suit your needs! 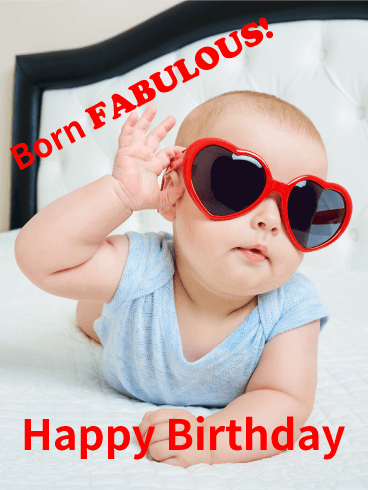 Send this funny/adorable birthday card to someone who is fabulous. "Wow" is the best word to describe this fabulous birthday card! Just take a look at all of those bright, gorgeous colors! The birthday girl lucky enough to receive this card will love the fun array of watercolor designs, and she's sure to smile when she reads the word "gorgeous." This birthday card is sure to bring a smile to anyone's face. This may just be one of the most unique and beautiful birthday cards around. 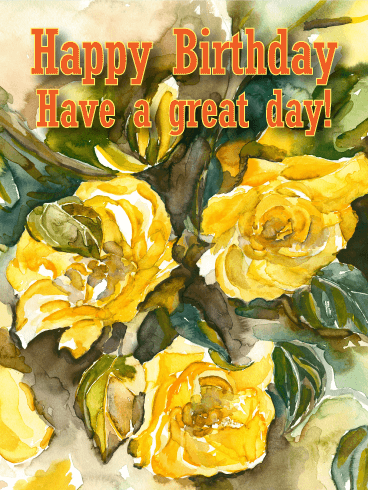 The yellow color of the roses is unexpected, but adds a simple elegance while embodying the beauty of watercolor artwork. The art is exquisite! 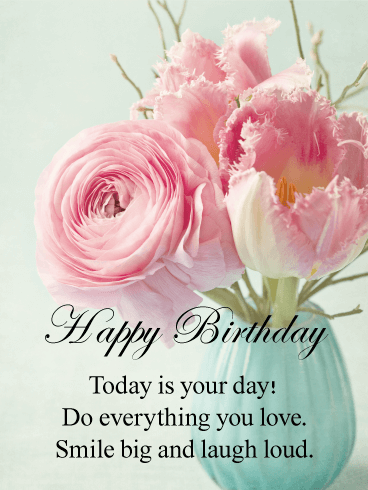 With a sweet but simple message and captivating background, this is the perfect birthday card for someone special you love having in your life. Look no further than this gem for a unique and heartfelt birthday card. For starters, the flowers and butterflies are gorgeous and add a whimsical element, plus a fun variety of colors. The sentiment of the words is sweet, with a beautiful message in a font that embodies elegance. 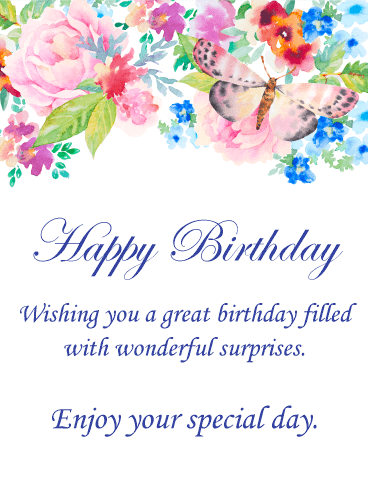 The simplicity and beauty of this birthday card are sure to be noticed. If you've been struggling to find the perfect birthday card for your sibling, parent, aunt, uncle, or grandparent, look no further! This is a great choice for someone who’s watched you grow up, as it incorporates humor while also acknowledging that you’re all getting older. The bright red colors make this card stand out, too! If you're looking for a mellow, sentimental birthday card, you've come to the right place! Everything about this card is perfect. Isn't the color scheme beautiful?! The watercolor background is breathtaking, while the flower caricatures are absolutely gorgeous. The sentiment of this birthday card is sweet, perfect to let someone know how much you appreciate them on their special day. 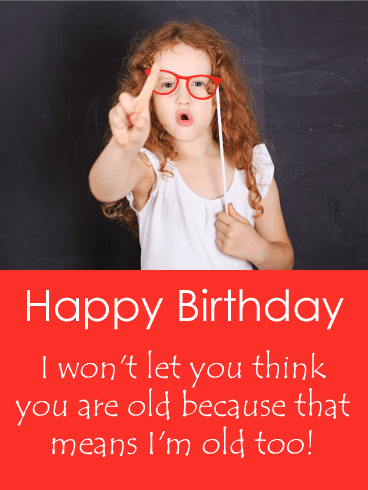 We dare you to look at this funny birthday card without smiling! The bright colors, the fun fonts, the hilarious sentiment... it's all wonderful! This is definitely a birthday card for someone who enjoys a nice laugh and can poke fun at themselves. Joke about getting older with this dazzling creation! Who wouldn't want a giant cupcake on their birthday?! Everything about this birthday card is pure awesomeness! The colors of the writing, lipstick, and strawberries really tie everything together and make it pop. The verbiage is humorous while still offering up birthday wishes. 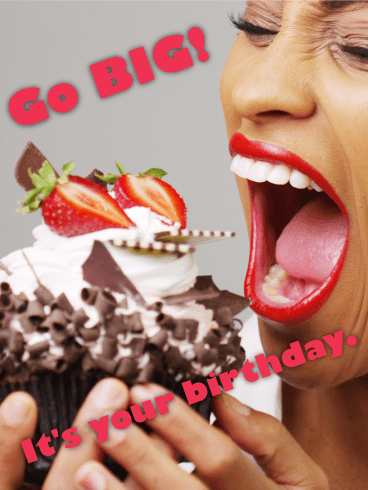 Send this fabulous birthday card to a huge cake eater! Bring the birthday guy or girl right back to their glory days with this adorable card! 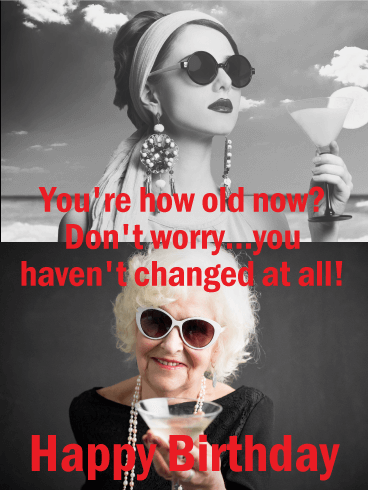 Everyone's a tad self-conscious about getting older, so make them feel better with this birthday card that reminds them just how awesome they are. The black and white older photo is a nice touch, and, of course, the drink in hand is the perfect way to celebrate!